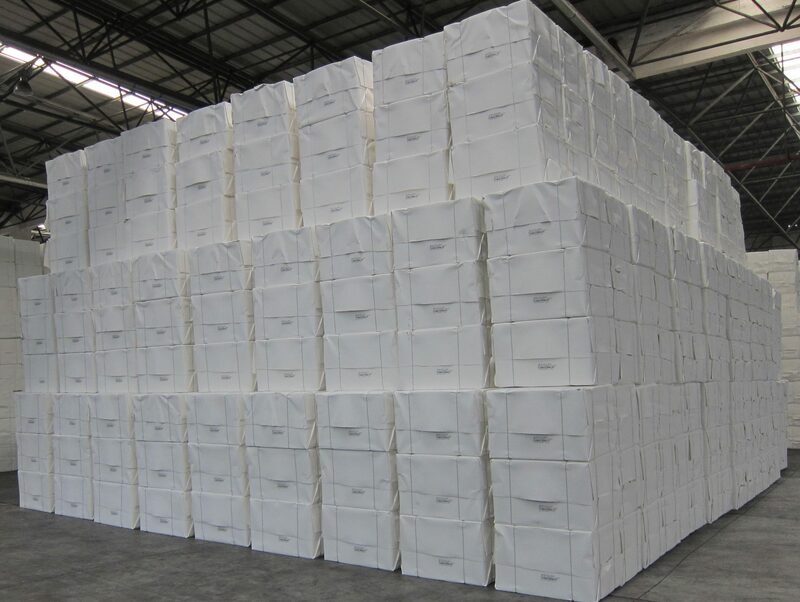 Consistent growth over the past 30 years has led the tissue sector to become the single-biggest consumer of market pulp, claiming an estimated 36% of global bleached chemical pulp (BCP) shipments in 2016, compared with just 25% in 2008. 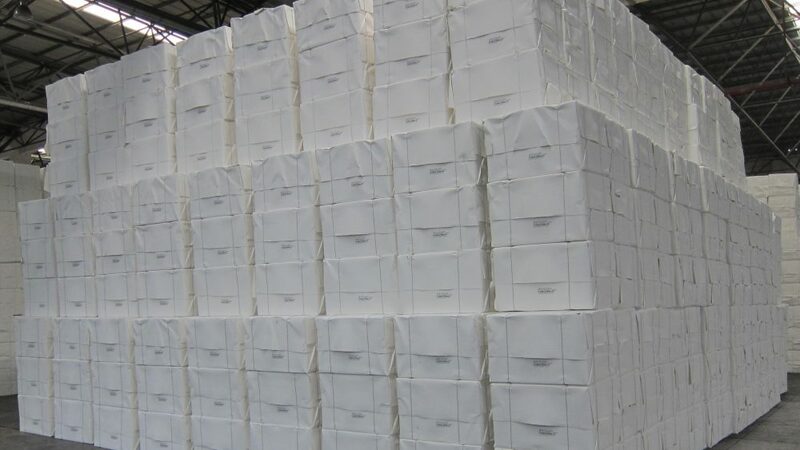 Thus for market pulp suppliers, tissue has become an important growth area, helping offset the decline in sales to P&W (printing, writing and publishing) paper grade producers (Figure 1). The relationship is mutual. For tissue makers everywhere, the economic importance of pulp markets can never be overstated – those using virgin fibre as a raw material know that pulp often accounts for 60-70% of their manufacturing costs for making tissue. While demographics and macroeconomics continue to support growth in tissue consumption worldwide, they are also driving the demand for better quality in those tissue products. At the same time, the availability of high-quality recovered fibres (RCF) across much of the developed world has peaked, and the costs associated with their procurement have increased. Elsewhere, although RCF utilisation is growing in the developing world, that growth has slowed markedly. The pulp industry has been eyeing these developments for some years now, and progressive market pulp companies have worked to position themselves ideally to serve this growth in underlying tissue demand. In particular, the rise of large-scale, plantation-based, FSC-certified pulp mills in Latin America (at Fibria, Klabin, Suzano, Eldorado, Arauco or CMPC, to name just a few) has undoubtedly been the single-biggest step towards achieving that goal (Figure 2). This has allowed production costs to reach such levels that market pulp is now able to compete with integrated players throughout the traditional pulp & paper industry, and with RCF as well. We estimate global tissue production exceeded 35 million tons in 2017, up 35% from around 26 million tons in 2007, and fibre consumption to produce those tons totalled 45 million tons (Figure 3). Of that, some 18 million tons of RCF was used, just marginally up (+20%) from the 15 million tons of RCF ten years ago, while market pulp consumption increased more than 50% from almost 16 million tons to over 24 million tons over the same 10-year period. In other words, in the decade 2007-17, RCF consumption by tissue producers has grown by 3 million tons, while market pulp for tissue has grown by 8 million tons. Meanwhile non-wood fibres have held onto their niche purposes, but their consumption is apparently gradually eroding over time. Fig 3. Fibre sources for tissue making, 2005-2020. Emerging markets account for about 80% of global growth, with China leading the way as its economy becomes increasingly consumption-driven. CHINA alone accounts for 40% (3.8Mt out of 9.1Mt) of the global tissue growth over the past decade. Its tissue consumption has grown at an average 8.3% p.a. for the past 10 years, reaching 7.7 million tons in 2016 according to official sources. The majority of this growth is accounted for by toilet paper and facial tissues, which account for over 80% of the Chinese tissue market. Other categories such as kitchen towels and napkins are growing faster, but from a very small base. With per capita consumption levels just under 6kg p.a., the room for tissue demand to grow – barring any major economic catastrophes – remains huge. LATIN AMERICA ranks second in terms of tissue demand growth, with consumption expanding at about 4% p.a. and reaching about 4 million tons last year. Note that Brazil and Mexico together account for over 50% of Latin American demand. Similar to China, per capita consumption is around 6kg, implying considerable growth potential – provided the continent’s economic woes do not depress consumers’ purchasing power for too much longer. As an example, the Brazilian recession caused growth to fall from 5% p.a. to under 2% p.a. in recent years. TURKEY, although still small in absolute terms, is a very important and fast-growing market, with consumption growing from 170,000 tons in 2005 to about 500,000 tons in 2017, implying a CAGR of over 11%. MATURE MARKETS, meaning North America, Western Europe, Japan and Oceania, remain relatively subdued, with combined growth over the past 10 years falling just short of 2 million tons. Even so, there remain some disparities in market penetration: North Americans, with their oversized Away-from-Home sector (2.6 million tons in the US alone last year), consume about 25kg per person each year, while in Western Europe and Japan the number is closer to 15kg per capita. 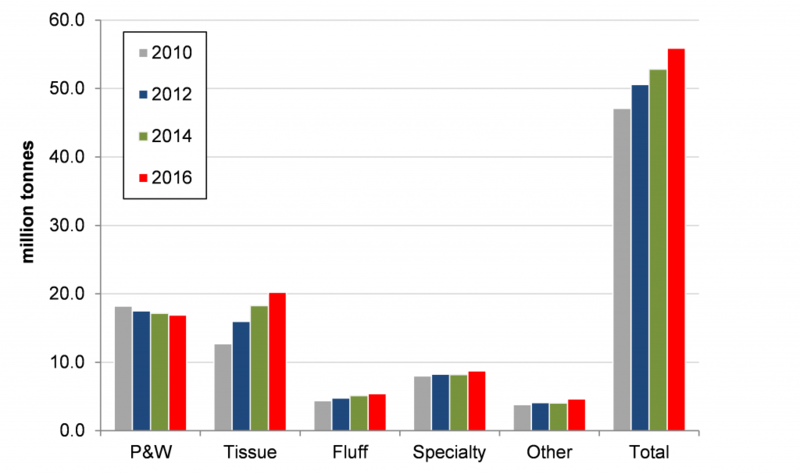 Despite only incremental growth in recent years, North America remains the world’s largest tissue market with total 2016 consumption of about 8.9 million tons, up 1.1% on 2015. In Western Europe, 2016 tissue consumption totalled 6.9 million tons, modestly higher (+0.8%) than in 2015 owing to stagnant demand levels in the largest markets of Germany, the UK, France and Italy. This follows growth of almost 3% in the previous year, and compares with an average rate of 1% p.a. in recent years. Although per capita demand for Europe is around 15kg, it varies from 6kg in Romania to 19kg in the UK. Given its bulky nature, tissue is not normally very economical to transport, meaning that regional production and demand tend to be fairly closely aligned. However, there are important exceptions, with Italy, Turkey and more recently China establishing themselves as major tissue exporters. It is therefore not surprising that over 40% of the production growth seen over the past decade originates in China. Europe (the CEPI region) accounts for 16%, and Latin America and the Middle East both account for about 13% of global growth. Other Asian countries and North America represent 10% and 7% respectively. 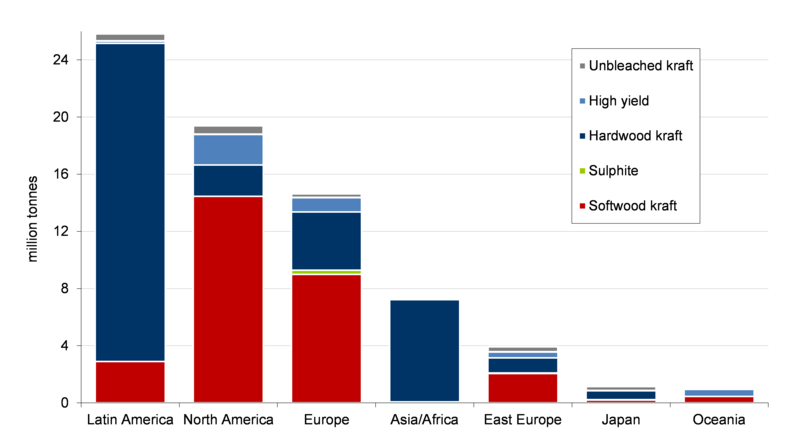 Looking ahead, future trends indicate continuing strong demand for virgin fibre for tissue production, since growth markets tend to be heavily focussed on virgin fibre rather than recycled. In China, certain regional players have developed niche products using bamboo and even straw pulps which are marketed as environmentally friendly. Nevertheless, the majority of new capacity growth will be based on fibre from wood pulp. Recovered fibre plays a much greater role in the more developed regions of North America and Europe, where much RCF goes into products serving the important Away-from-Home sectors. However, dwindling availability and deteriorating quality of recovered fibre is obliging tissue makers in these regions to use more virgin fibre. Perhaps a less positive development for market pulp suppliers is an emerging trend towards integration, which has become prevalent in several key regions. Some examples include Resolute (USA), Suzano (Brazil), Navigator (Portugal), APP (in USA, China and Indonesia), and Lee & Man (China), to name just a few. In some cases the pulp companies see integration with tissue as a means of lowering exposure to the pulp cycle, whilst simultaneously tapping into a segment with long-term growth potential. Although such integration can reduce market pulp capacity, certain companies are also raising pulp output as they start to compete with non-integrated tissue makers.